Vegetarian for All – Vegetarian doesn’t need to be boring nor does it mean you will leave the table hungry. With eggs, great cheese, and foods that have a great umami flavor, you can make a wonderful, tasty, and filling meal from appetizer to dessert and please even devoted carnivores. Join us for a great evening without meat. 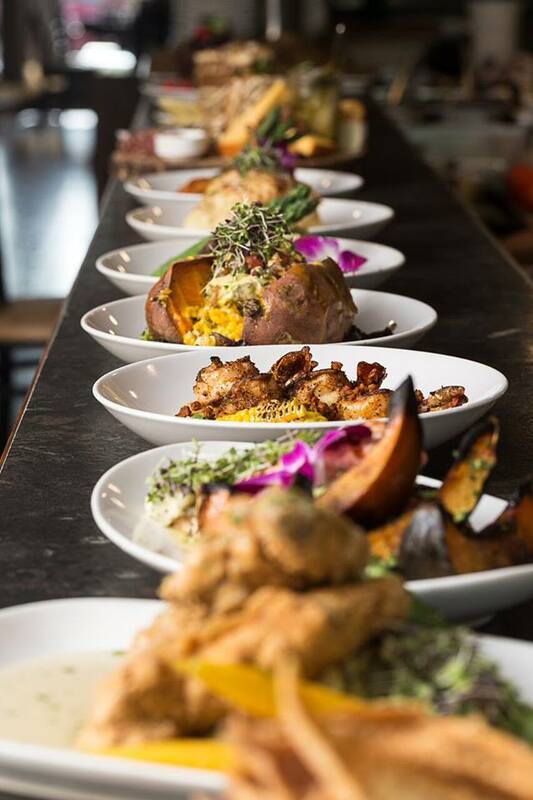 Not only do we host local chefs from many of the best restaurants in the Palm Beaches and Martin County, we also have a our own resident chef who works along side them at every dining event at Kai-Kai Farm. Chef Kitty is not only part of the team, she's like family. And boy can she cook! 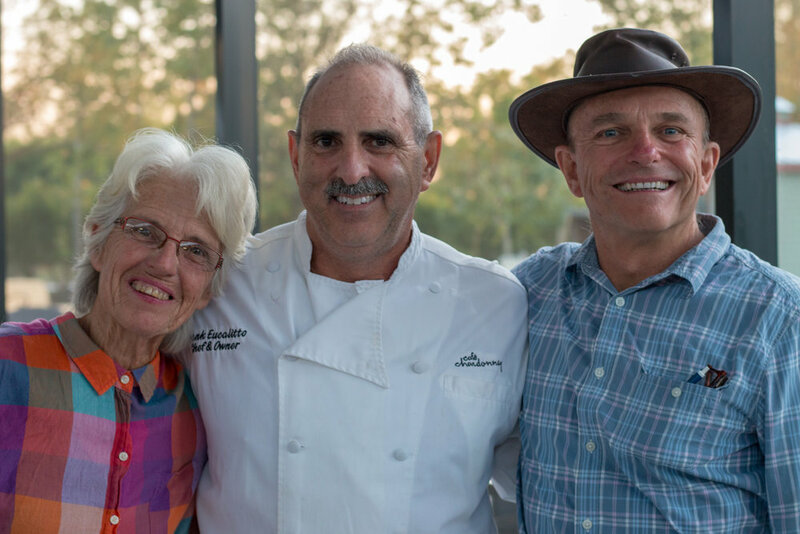 Don't miss a change to taste some of her fabulous cooking at one of our many farm-to-table dinners this season. A 9th generation native Floridian, Kitty grew up in North Florida near Tallahassee. From a large family in a very rural community, she learned to cook at her grandmother’s side from an early age. Cooking has been a joy throughout her life. After working for many years as a programmer and analyst, she started cooking as a professional. Brought along by another chef, she honed her skills in the kitchen and now is a private chef. She has taken cooking classes in Spain and Italy. She leans toward classic French cuisine but puts a Southern edge to her dishes. She makes her own condiments along with a line of rubs, spice blends, and flavored oils and vinegars. She enjoys making jams, jellies, and marmalades. She is married with 1 daughter and 2 granddaughters. She and her husband have been in Palm Beach County for 15 years. Make Your Own Pasta – Have you shied away from making your own pasta? Don’t have a pasta roller or machine? No worries. Come learn how to make pasta the Sicilian way – no pasta roller required. We will make cavatelli and a dessert ravioli. You can wow your friends and this will open the door to the world of pasta at home. Farm Tour, Egg Hunt, Face Painting and more! Receive Announcements and Special Offers. Kai-Kai Farm welcomes James Beard Award Nominee and Chef/Owner of Buccan, Clay Conley for an out of this world 5 course gourmet feast. Learn how to be creative with desserts from fruit with a great dip to bread pudding with brandy sauce. Add a couple of interesting drinks and you have a party! 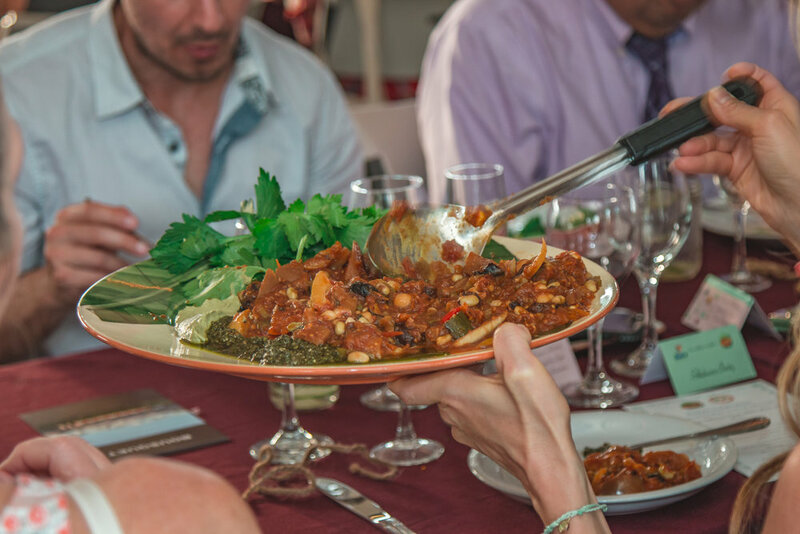 Join us for a hands-on, scratch cooking, fun loving, sensory driven experience. You will learn how simple it is to feature nutrient rich foods in easy to prepare dishes. We will focus on developing techniques, the benefits of traditional flavor combinations and why stocking your pantry with quality ingredients are key. The evening will begin with Chef Germain providing guidelines for preparing each recipe while you sample some superfoods. Then you’ll work together in groups to create each dish. Come prepared to cook! Wear comfortable closed-toe shoes with your hair tied back. The evening will end with us sharing a meal featuring our creations. Go home with recipes, inspiration and strategies for vibrant health. 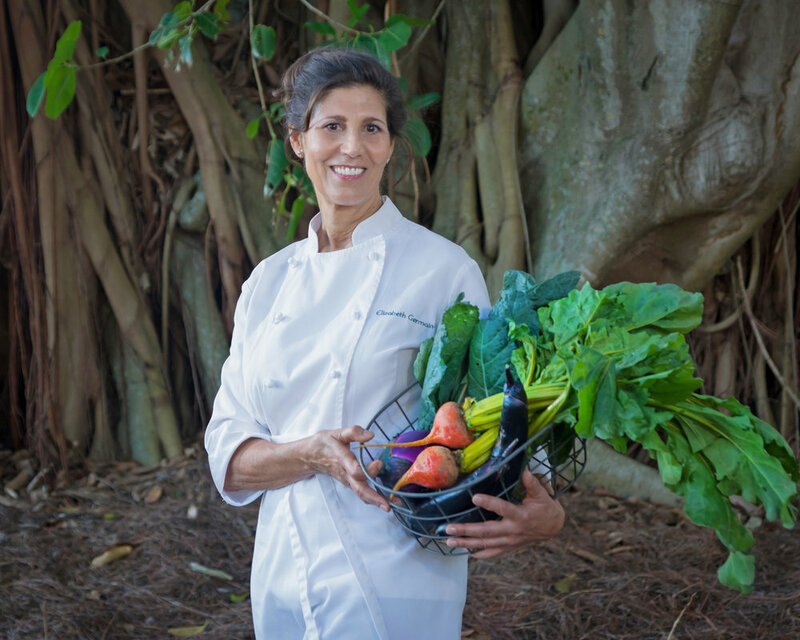 Private Chef Elizabeth Germain is passionate about ensuring vitality and stress-free meals. She eagerly shares her skills and wisdom garnered over her lifetime. New York City born of Italian descent, Elizabeth’s passion for sustainable cuisine has guided her from organic farms to fine dining restaurants to highend caterers and into celebrity homes for over twenty-five years. She has studied and practiced health supportive cooking, natural healing techniques and yoga for decades. Among her many accolades, hundreds of her recipes and dozens of her articles have been published and featured in Cooks Illustrated, Christopher Kimball’s Milk Street, Natural Health Magazine and Body & Soul Magazine. She has ghostwritten seven books and appeared as a returning guest on Martha Stewart Radio. As a culinary crusader she organized conferences on behalf of Chefs Collaborative, served on the Board of the Northeast Organic Farming Association, and is a past president of Slow Food Martha’s Vineyard. 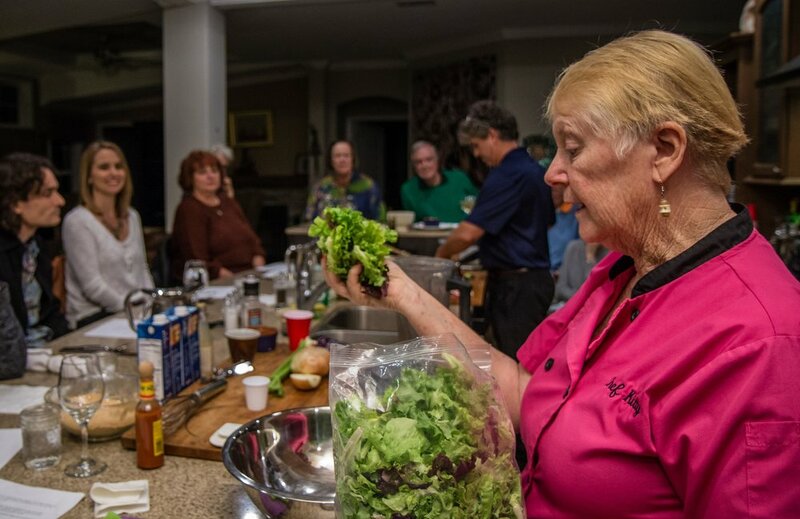 Since relocating to Palm Beach County from Martha’s Vineyard, MA, Elizabeth is growing awareness on how to Re-Charge Your Body and Awaken Your Spirit Together with Good Food and Good Vibes. Join Cafe Boulud Palm Beach's Executive Chef Rick Mace and his team for a true farm-to-table experience. Learn to make pizza dough, pie crusts, cheese crackers, and a delicious dessert – all gluten-free! This is a statewide Slow Food conference hosted by our Slow Food State Govenor Richard Stepp. 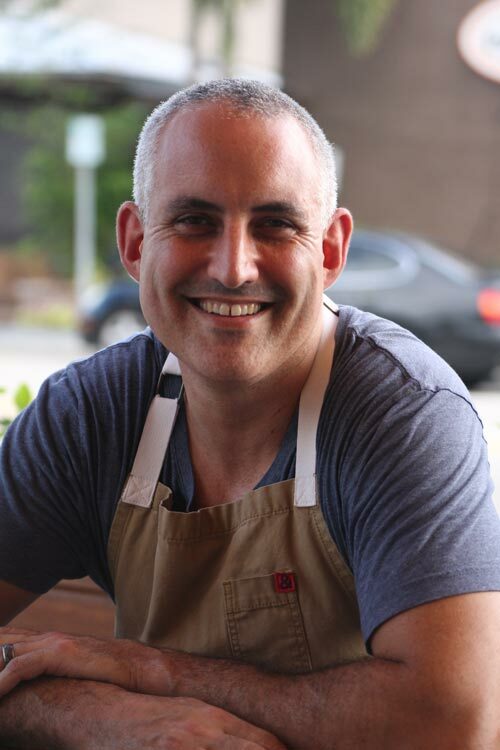 He will share his experiences from Slow Food Nations and Terra Madre. Slow Food leaders' meeting convenes at 9 AM with roundtable discussions about Slow Food issues and opportunities and goals. 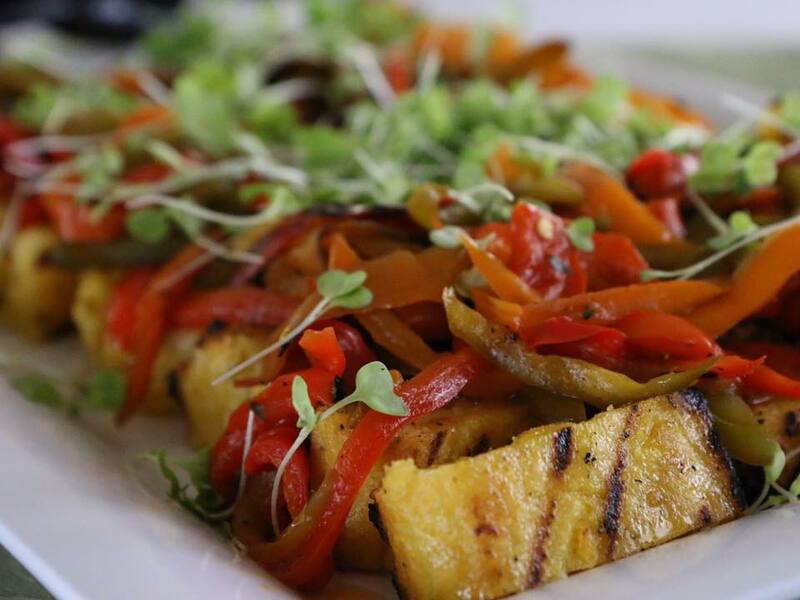 A light lunch with Kai-Kai Farm vegetables will be a social occasion (Slow Food membership is encouraged). Commencing at 1:30 PM, 3 producer panels (animal, vegetable, chef) will address timely issues with national and local perspectives. Guided farm tour at 5:00 PM. Chef Daniel Ramos from Red Splendor Bone Broth & Artisan Sausage. Dinner buffet will be a social occasion (Slow Food membership is encouraged). Moska Project is a 6 piece band based out of Jupiter, Florida making a fusion of Latin Reggae/Rock and Afro-Cuban original music. Dust off your dancin shoes and get out to Kai's Music Garden for an evening of Swing, Rockabilly and Rhythm and Blues designed to make you move. Zach Deputy is a multi-instrumentalist and songwriter based in Savannah, GA and best known for his live looping shows. He describes his style as "island-infused drum n' bass gospel ninja soul."